My husband calls this art journal therapy. 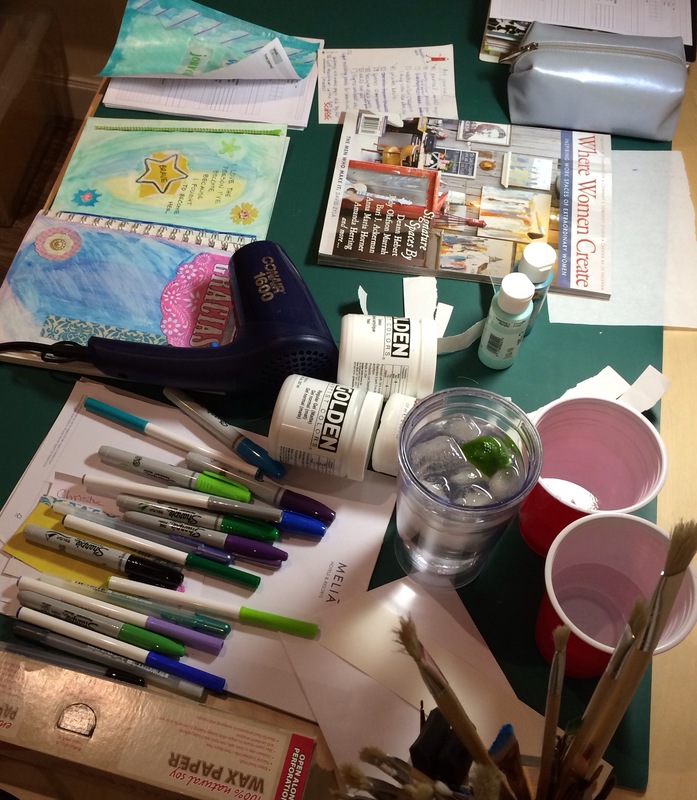 I have a different view of all 3 words – art – journal – therapy. I don’t see how spreading materials all over the tables, floor and shelves, grabbing this and that, coloring, painting, this is not how a real artist works? Certainly, I don’t need so much stuff to simply write in a journal. And I guess everything is a form of therapy these days.